To brighten up any outfit add a pop of neon. I am kind of obsessed with all the neon and fun colors for spring. Don't be afraid to play with color and patterns. Thank you for all of the support yesterday on my first post. It means so much to hear all of your nice comments! 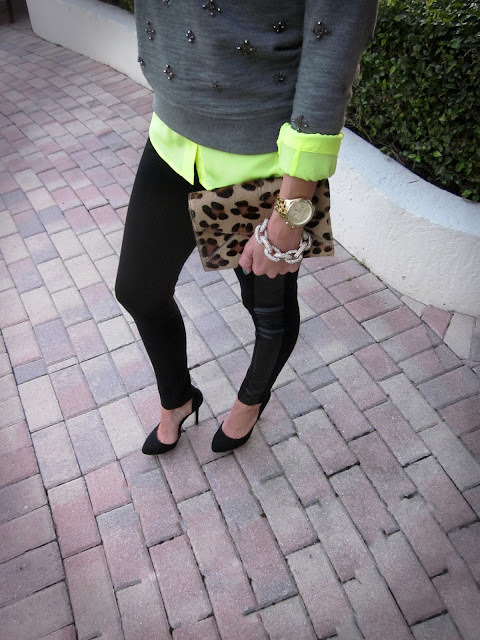 really like this outfit with the neon yellow blouse under your sweater. 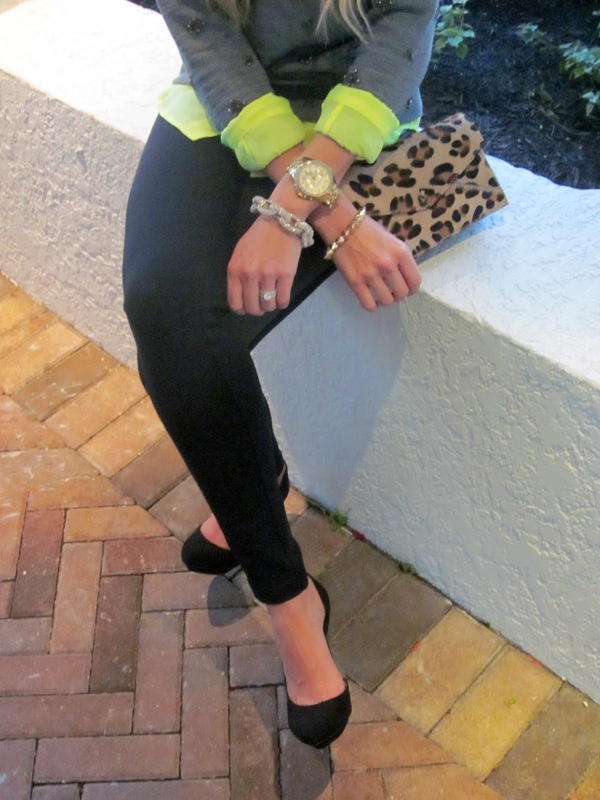 I really LOVE this outfit, especially the pop of neon and that gorgeous clutch! Obsessed with the pop of neon here! LOVE IT!!! I have been hoping j crew will bring that neon blythe back...have not caught it yet. love the sparkly sweatshirt with the neon!! i love this look! so cutee!! I love the blonde hair color,it match you very much.